Adelaide Tiling Company located in South Australia. 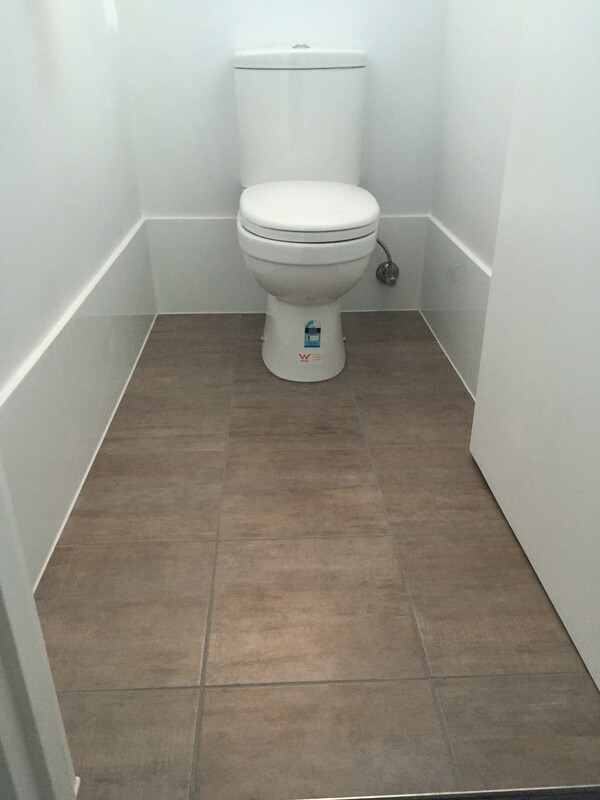 Tiling Bathrooms in Adelaide since 2010. 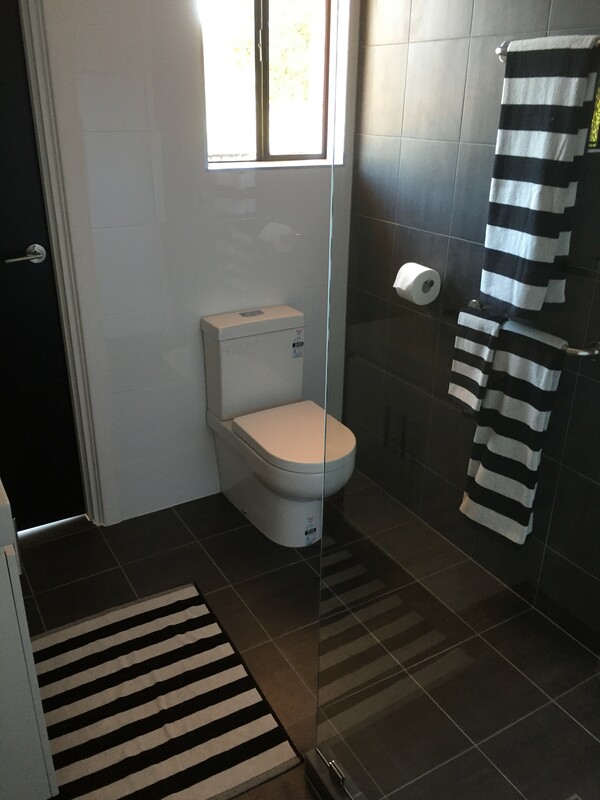 Perspective Tiling recently completed this bathroom tiling renovation for Sophia of Christies Beach South Australia. 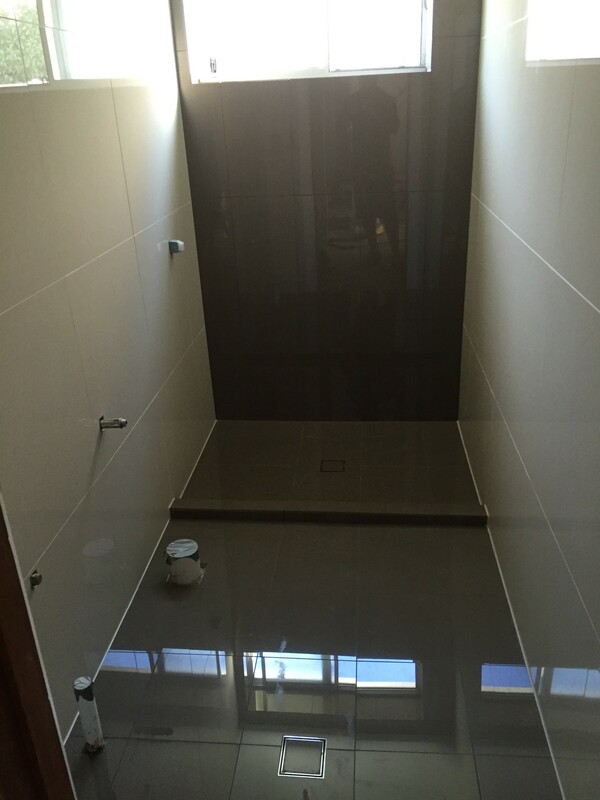 Perspective Tiling are exceptional South Adelaide Bathroom Tilers! From meeting Sophia she explained that the tiling job was urgent as she was pregnant and needed to move into her home. Perspective Tiling were able to start straight away as the other job we had booked in wasn’t as urgent as this one. Making sure that the client was completely happy. The floral floor tiles gave off a mosaic effect which brightened up the room. An interesting contrast of tiles! Perspective Tiling are able to organise all of your bathroom tiling needs. 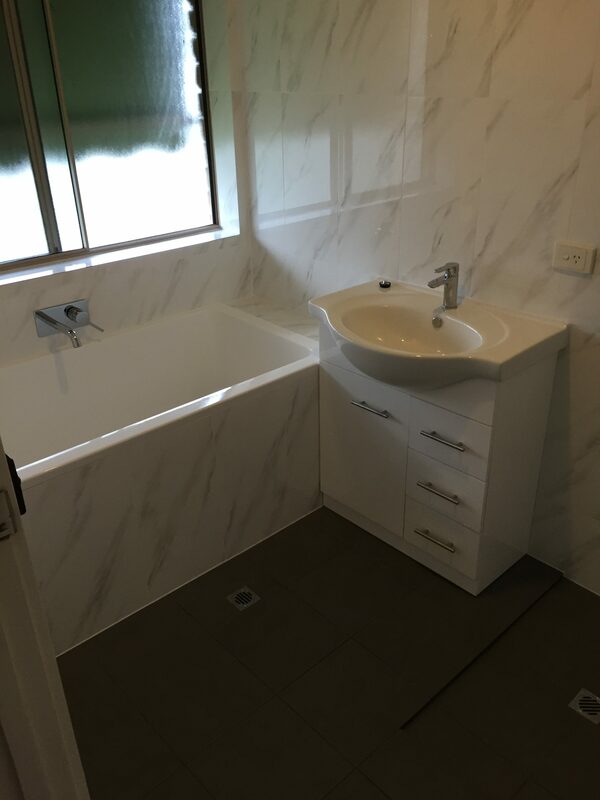 Our Adelaide tiling company can tailor full bathroom renovations from start to finish. 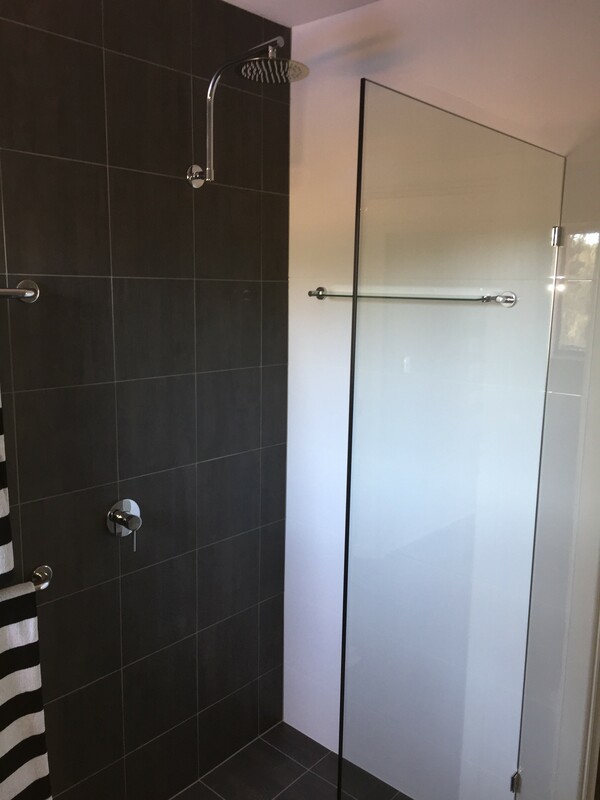 We make the process of renovating your bathroom easy explaining the whole renovation process from start to finish. Perspective Tiling are award winning South Adelaide Bathroom Tilers! Perspective Tiling will organise any other trades needed to make the whole renovation run smooth. Our reliable and licensed tradesman will give you a complete quotation so you know how much the renovation will cost. 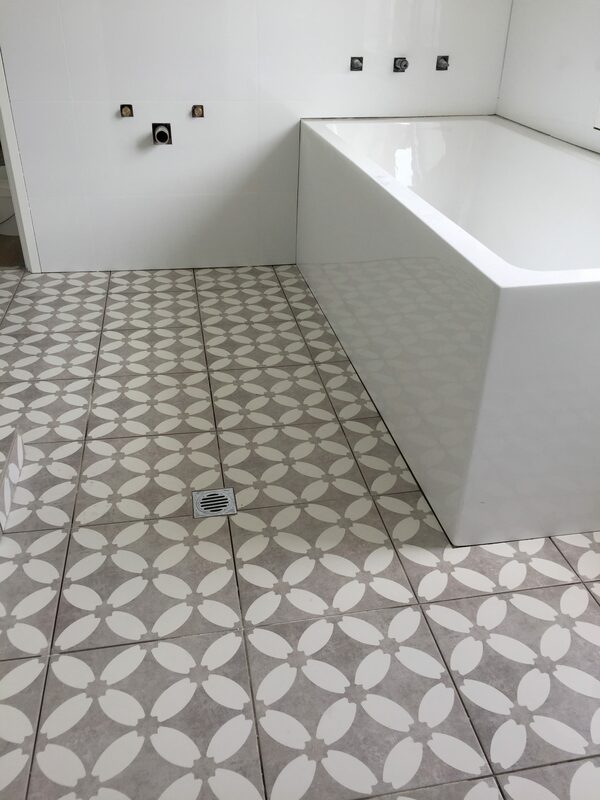 Perspective Tiling offer a complete, bathroom renovation experience. From demolition through to rubbish removal, keeping in mind that we are tidy and professional. 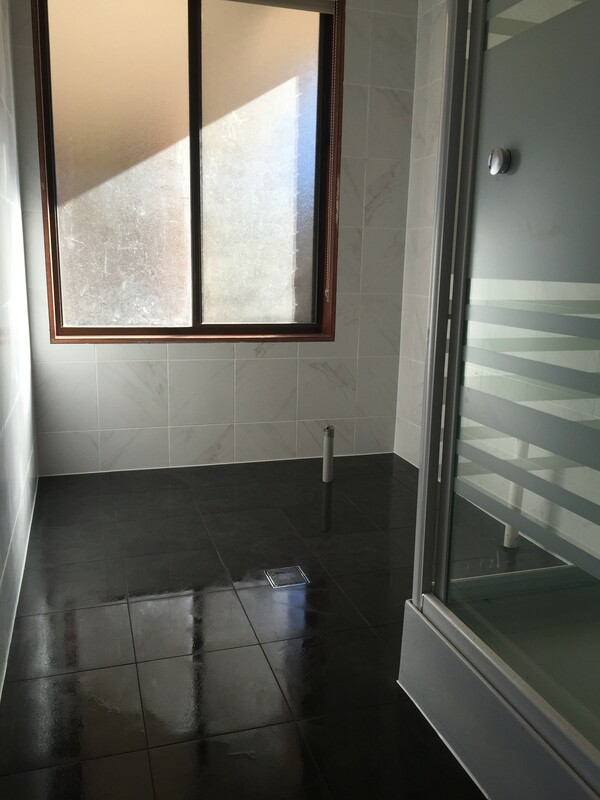 Our tiling company have completed numerous bathroom renovations throughout Adelaide. Giving a quality tiling service and satisfaction on every tiling job that we complete. Perspective Tiling are more than happy to tailor a quote to suit your needs. Listening to what the client wants is the most important thing. Our tiling company understand that everyone is different and were happy to offer advice on tiles and popular trends. So why not get your bathroom renovation underway? Add value to your home while living in comfort. Be the envy of your friends and live in style! Contact Perspective Tiling today to discuss your ideas and create a house into a home. Perspective Tiling is an award winning Adelaide tiling company. Specialising in wall tiling, floor tiling, bathroom tiling, kitchen tiling, laundry tiling and outdoor living areas. Friendly service 7 days a week! 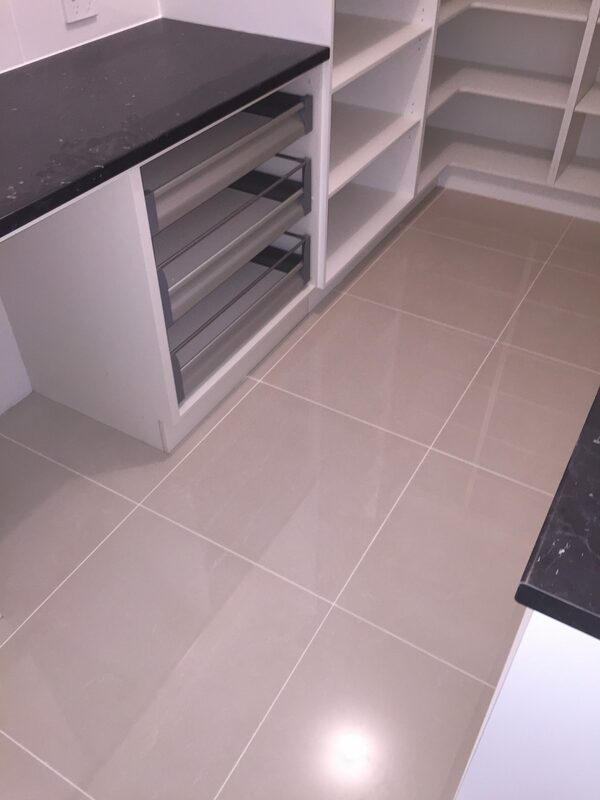 Here are some photos of the recently completed floor tiling job in Meadows, South Australia. Perspective Tiling are the very best South Adelaide Floor Tilers! Meadows South Australia is located in the Adelaide Hills region. 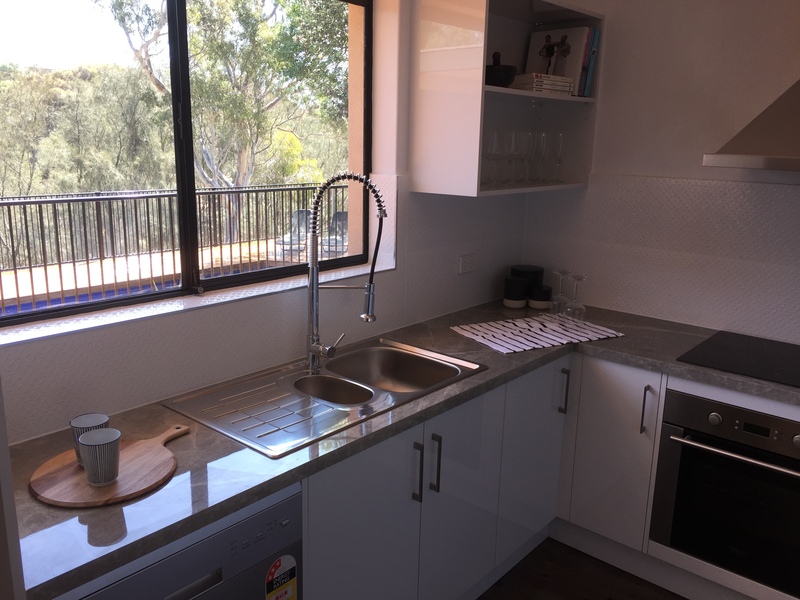 Our tiling company are willing to travel throughout Adelaide and surrounding suburbs. The kitchen tiling and open plan living area gives a stylish and spacious touch to the home. Perspective Tiling can recommend where to buy your tiles. We also offer trade discounts on your tiles. This in affect saves you money! Perspective Tiling pride ourselves on giving the very best service. We make sure that we are on time for quotes, our work is clean and professional. The layout of the tiling allowed even cuts either side of the hallway leading into the main living room. Aesthetically pleasing for the owner. Perspective Tiling are happy to let you view our work, ensuring you get a quality tiling job! Our tiling company based in Adelaide organise the whole tiling process. From choosing the right tile, through to offering helpful advice. 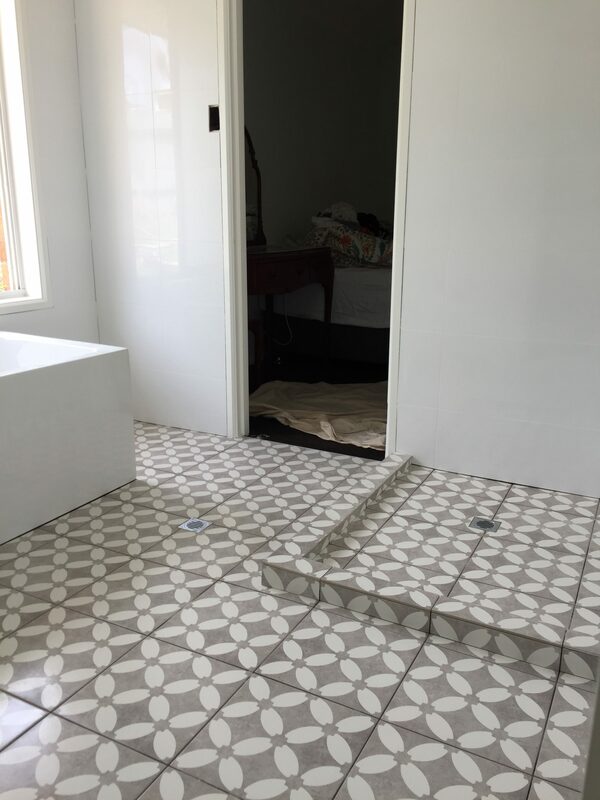 Perspective tiling offer a free quotation with a friendly tiling service throughout Adelaide. The main living room floor tiling gives a nice shine to the house. Making sure every tile is level is important to us. These larger tiles take time to lay, making sure that you get the very best tiling job. The tiles the client chose were 600mmx600mm polished porcelain tiles. A hard wearing tile which gives off a clean finish. This is the storage room behind the kitchen. A great addition to the home, with a neat tiling finish. For anyone looking for a group of high end South Adelaide Floor Tilers, go no furthur than Perspective Tiling. Perspective Tiling worked through the weekend, allowing the owners Kelly and Steph to move in to their new home on time. Contact Perspective tiling today on 0425 055 026 or visit our website: www.perspectivetiling.com.au to view more of our work! 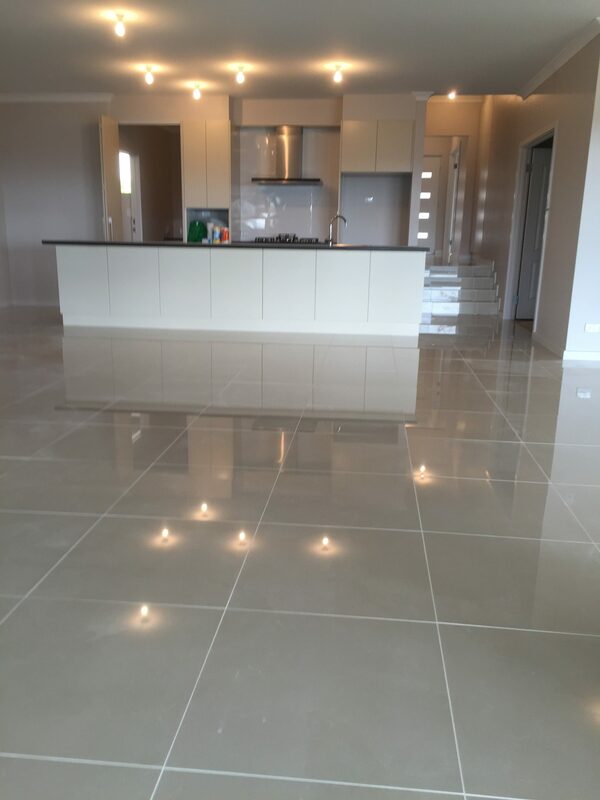 Perspective Tiling are a group of South Adelaide Tilers servicing all Adelaide metro and surrounding suburbs. We take a lot of pride in our work and ensure a high end finish. 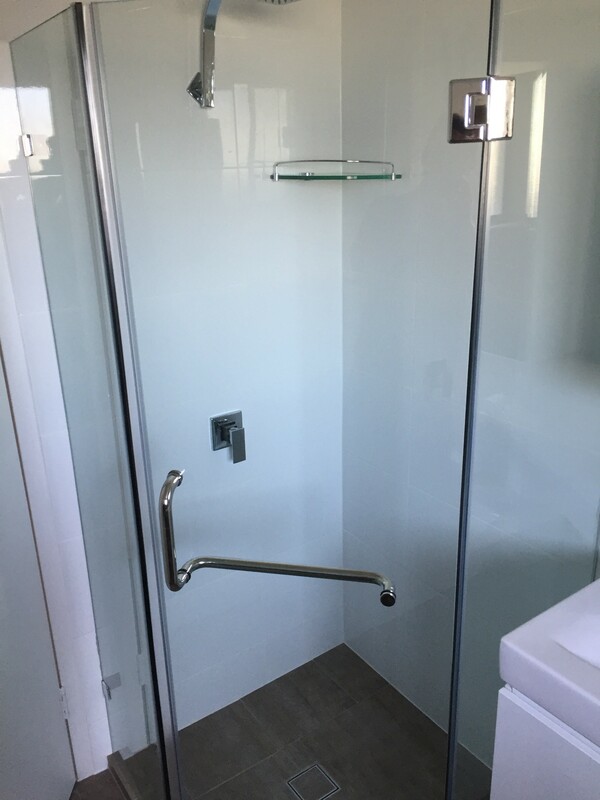 Recently we completed a bathroom and toilet area. We believe we are the very best South Adelaide Tilers! A bathroom from Perspective Tiling completed! Aldinga Beach Adelaide South. Perspective Tiling will organise the whole renovation process. From start to finish! 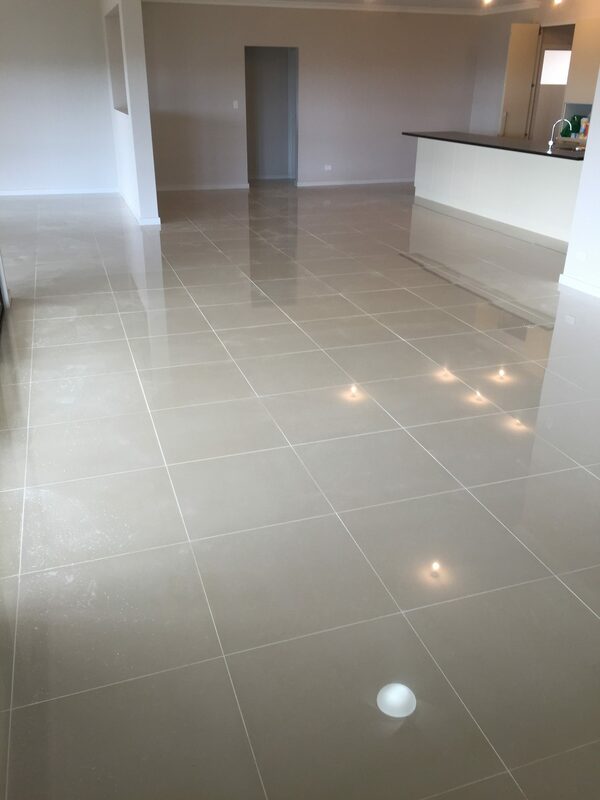 If your requiring tilers South of Adelaide we are the BEST! Call Dale on 0425055026 for a free quote! 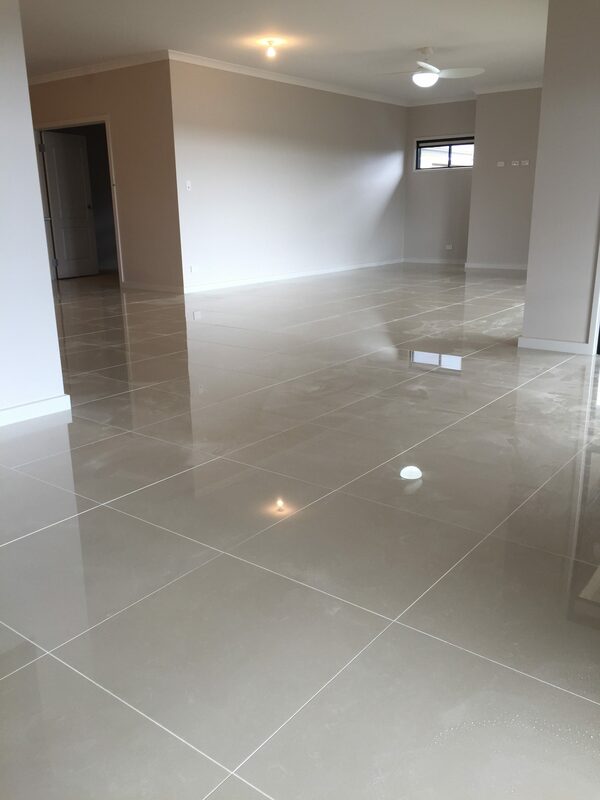 Our South Adelaide Tilers cater for your tiling needs. As our tilers understand every job is different. Our tilers are willing to listen to every client. Making sure satisfaction is achieved. Tiling is our passion! When tiling we use the very best products. Ensuring your tiles will last. Our company deals direct with Beaumont Tiles. The very BEST in bathroom ware. Perspective Tiling can organise a qualified plumber on time. We have been in the tiling industry for over 15 years. Quality tiling is a must. Don’t go past Perspective Tiling. For all of your tiling needs! We are the absolute best in tiling! Our reputation is growing. Your welcome to view previous work. As Perspective Tiling is happy to give out numbers. Wall and floor tiling is all we do! Tiling can be a worry. Perspective Tiling are happy to explain the whole process. As we understand perfection takes time. Tiling can not be rushed. It is more important to us that a quality outcome is achieved! With a high end finish and level tiles. Why would you go elsewhere? Choose Perspective Tiling! 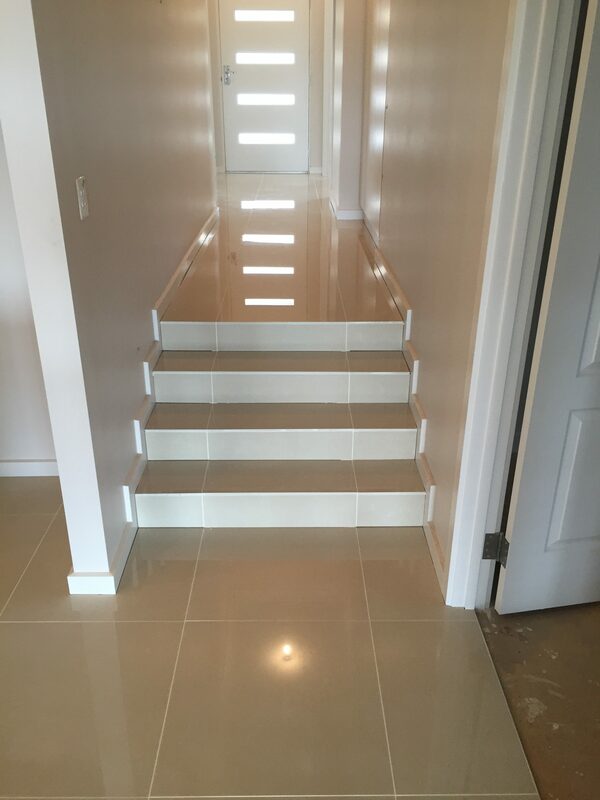 Choose the very best tilers Adelaide has to offer! As we understand YOU are important to us. Perspective Tiling are here Tiling Adelaide and surrounding suburbs! 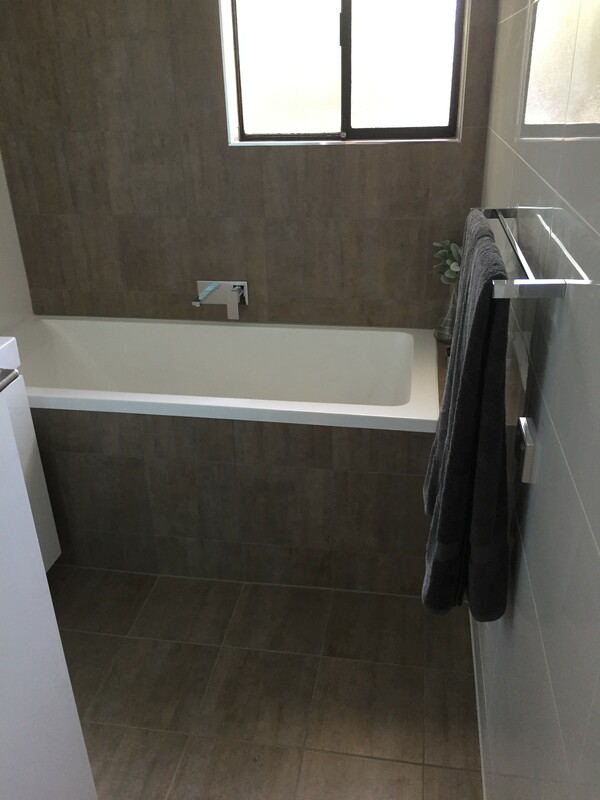 Another bathroom tiling job completed for Patrycja and Mat Vanden Hoogen of Seaford Rise S.A. Upon meeting Patricja and Mat we discussed exactly what they had in mind for their bathroom. Perspective Tiling Adelaide were able to offer helpful advice to the clients. We recommended using a smaller tile for the floor to create more fall to the drain. However, the owners wanted a larger format floor tile. I was able to meet their tiling needs by self levelling the floor and using tile clips to prevent tile lippage. Once the floor was tiled we started the map out of the walls. Perspective tiling suggested to line up the grout lines from the floor to the walls. This gave a neat finish and highlighted the owners feature wall. Once all of the tiling was complete it was time to add the finishing touches to the bathroom. Mat and Patrycja chose the colours they desired using the grout colour chart i provided. Once the grouting was complete it was time to silicone, we sealed all of the junctions making the bathroom water tight. From looking at the owners bathroom I detected previous water damage. I replaced all of the walls, re-lining them and waterproofing the walls and floor ready for tiling. Perspective Tiling installed a smart tile grate blending in the floor tiles with the bathroom. For the wall tiles mitres were cut around the niche and window. We would like to thank Mat and Patryja for their kind hospitality and all of the coffee. 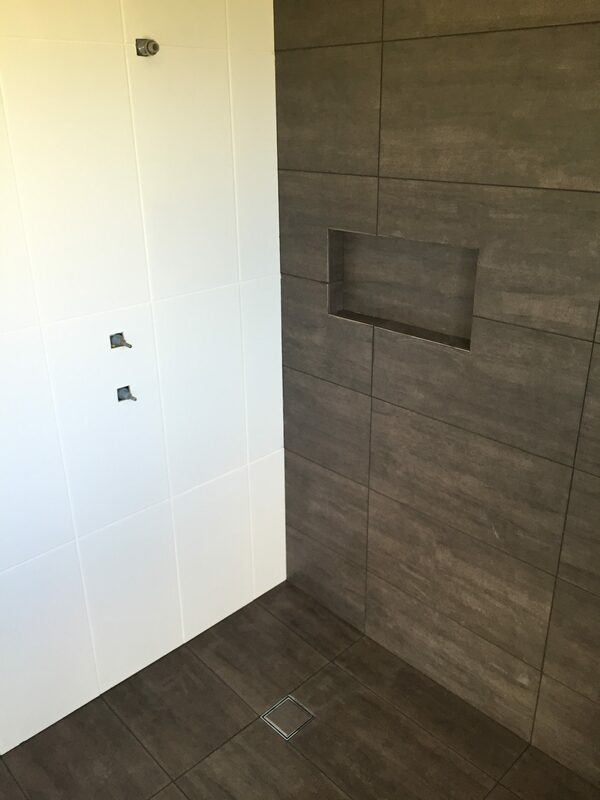 Our Adelaide Tiling Company will be back to complete their second Bathroom in a couple of weeks. Both Mat and Patrycja were very pleased with the outcome of their new bathroom. Perspective Tiling Adelaide’s Tiling Experts. Call today for a free quote! Tiling all of Adelaide. Our friendly and understanding group of tilers will cater to your needs. Cool little fill in job for Anthony Baxter of Trott Park S.A. Another bathroom renovation for his rental property. 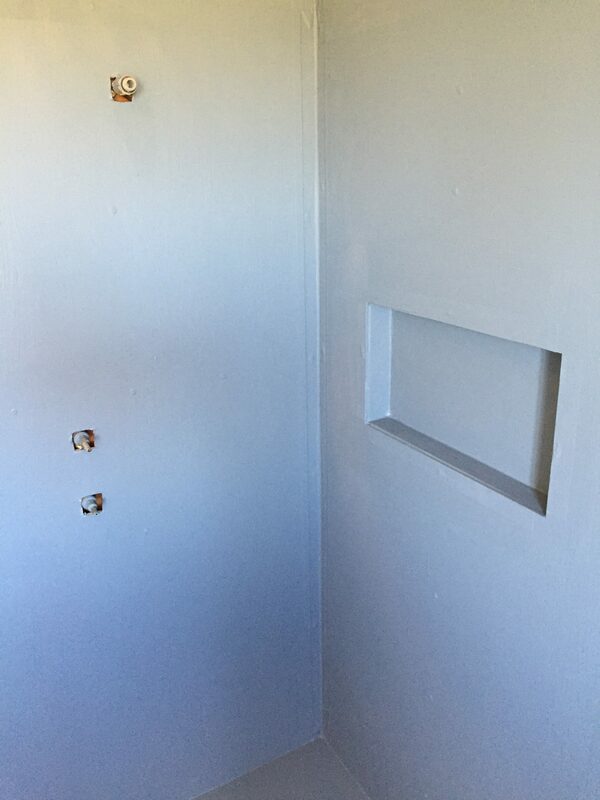 The nasty previous tenants put a hole in his wall so I fixed that up allowing him to get the house ready for sale. Here is the end result of my work! Perspective Tiling Adelaide Houzz Award 2016! 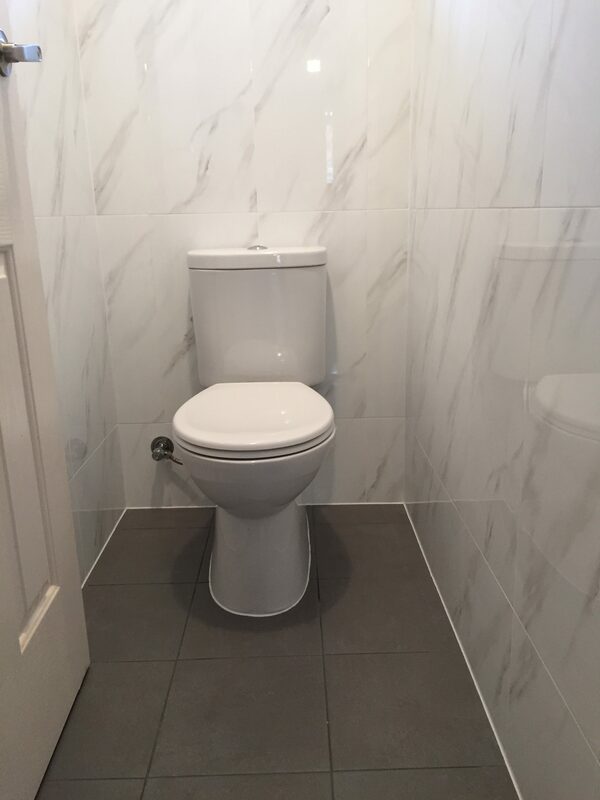 Mass Bathroom Tiling In Adelaide! Quality bathroom tiling in Adelaide for Simon and Jill Mcloughlin of Magill. Here’s a couple of snaps of the end result! Tiling All Of Adelaide Everyday!! Perspective Tiling Adelaide recently completed a number of renovations at Marino South of Adelaide. The client Gloria Tsotsis was very pleased with our work. Here are the end results!